Connect with community agency supports to help you reach personal goals: Family Strengthening Philosophy: Goodwill is good for Families! Goodwill understands that to be successful at work, everyone needs to be confident that their families are healthy and safe, and that their home life is stable. We have identified that a full family approach is imperative in the process of empowering individuals and assisting them in their journey to self-sufficiency. At Goodwill we take a whole-family approach to service delivery. We believe that assisting the individual towards self-sufficiency, not only enriches the family, but also strengthens the community. Often times, the ability to maintain employment is based on influences outside of the work environment, such as transportation, child care, housing and health issues. Beyond issues that may negatively impact the ability to find and maintain employment, families must also have access to the resources and support services that address areas such as financial literacy, money management, and mentoring. 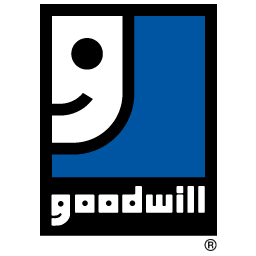 Building relationships with other community organizations allows Goodwill to develop innovative employment strategies that connect families with the services and resources necessary to overcome barriers to economic and social success.